With T-Mobile's big UnCarrier 4.0 announcement fast approaching, the carrier was caught off guard today when AT&T announced it will offer a total of $450 to anyone who switches from T-Mobile to AT&T, but CEO John Legere clearly isn't worried. The eccentric industry leader spoke out earlier today, calling AT&T's new offer a "desperate move" in an email statement to Re/code. "Consumers won't be fooled… nothing has changed, customers will still feel the same old pain that AT&T is famous for," Legere wrote. "Just wait until CES to hear what pain points we are eliminating next. The competition is going to be toast!" He also took the opportunity to bring up a a bit of bad history for AT&T: the company's failed bid to acquire T-Mobile. 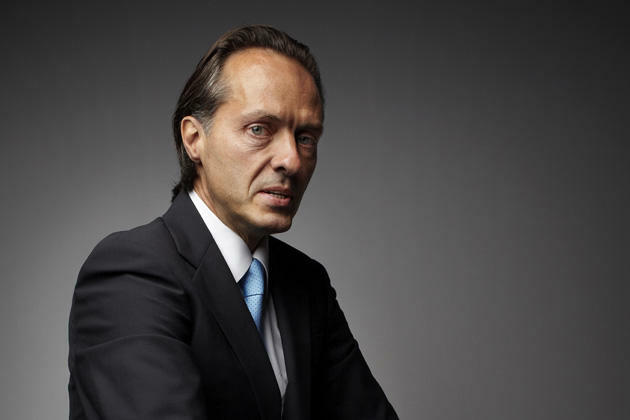 After the deal fell through, the larger carrier was forced to pay $4 billion, which Legere says was used to improve the carrier's service. "We used AT&T's cash to build a far superior network and added 'un-carrier' moves to take tons of their customers – and now they want to bribe them back," Legere added. "I'm flattered that we have made them so uncomfortable!" We still have no idea what T-Mobile will announce next week at CES, but the carrier has done a good job of surprising the industry at every step. We've heard a number of rumors that the company will offer a deal similar to AT&T's newly announced promotion, promising to pay off cancellation fees when consumers switch over to T-Mobile, but at this point there's no indication that this true.